You know how people are always saying that once you have a baby, your life will never be the same? What they really mean is once you have a baby, your house will never be the same — because you’ll never have time to clean it. 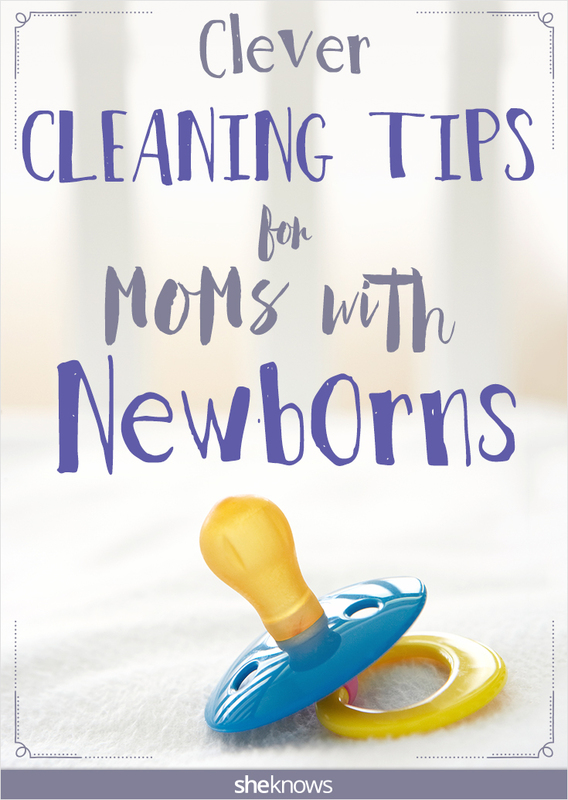 We kid, we kid, but obviously we don’t have to tell you that keeping up with the chores and housework is a little more, um, challenging once you welcome a new baby into your home. Not only that, but cleaning the house also begins to slide down on your list of priorities when you’re busy caring for a tiny human. But that doesn’t mean keeping your space from looking like a tornado hit it is impossible — it just takes a little strategy. From making use of a baby carrier to letting the vacuum lull the baby off to dreamland, these tips on how to get housework done with a newborn baby will help you tackle the household chores without becoming overwhelmed. When there are chores to do, make use of your baby carrier or baby sling and get in some cuddle time while pulling off some light housework. Just be sure to avoid spraying chemicals around your newborn and engaging in any movements that will put your little one in harm’s way. It’s also a good trick when getting a baby to sleep is challenging, too! Use your time wisely. Instead of cleaning all day long, designate a basket to put everything in its proper place at end of day. And, leave sweeping or mopping until the end of the day so you won’t have to do this chore more than once. Older kids can pitch in with housework when your newborn arrives. Slip a clean sock onto her hand and let her battle some dust bunnies or other age-appropriate chore. It will help reassure your kiddos that they are still an important part of the newly expanded family. There’s no rule that says you have to clean your house from top to bottom in a single swoop. Complete a few cleaning tasks each day to get housework done while still leaving you plenty of time for bonding with your newborn. Getting baby to sleep can be easier when your vacuum pulls double-duty. Strap your newborn into a bouncer seat or swing and let the sounds of the vacuum send him to the land of nod. He’ll get a good rest while within eyesight while you accomplish some household chores! More: How Bad Is TV Before Age 2? For new moms who aren’t comfortable accepting help from friends and family, consider hiring help. Paying a cleaning service to take care of household chores will let you focus on bonding with your newborn without the guilt of letting friends and family pitch in when there are chores to do. When your bun in the oven makes his appearance, accepting that your priorities will be reorganized will help cut down on stress when worrying about how to get housework done with a newborn baby. So, cuddle up with your newborn, take a deep breath and know that the housework will get done — eventually!